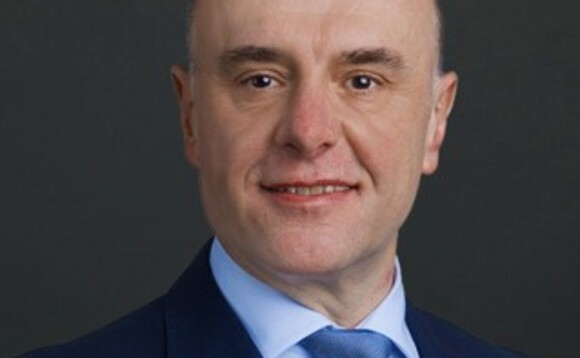 Thierry Larose, executive director and senior portfolio manager at Vontobel Asset Management, will address the investment opportunities presented by the emerging markets local currency bonds' universe at Investment Europe Milan Forum 2019. According to the fund manager, investors can enjoy long-term returns from emerging market local-currency debt as long as they are benchmark agnostic, invest with high conviction across business models, and in countries that are on a sustainable path. "A country that strives to improve sustainability, will eventually deliver more sustainable economic growth," says Thierry Larose, Vontobel AM's executive director and senior portfolio manager. Although the emerging market universe consists of around 50 countries with an investable local-debt market, only a small number of bigger, commodity dependent economies dominate the major benchmarks. The fact that many investors blindly follow these benchmarks, creates inefficiencies (governance or constraint-driven inefficiencies, among others), transforming in an opportunity that can be exploited by active managers, says Vontobel. With regards to the sustainability factor, the firm considers this is becoming increasingly important in the economic growth of emerging market countries, since there is a correlation between a country's adherence to sustainability and its bonds' performance. "Countries with a sustainable rating have, on average, better credit ratings than non-sustainable countries. For example, since 2007, countries rated sustainable have been able to keep their credit ratings constant, while non-sustainable countries have had to accept significant downgrades," says Vontobel. Thierry Larose is a portfolio manager within the EM Bonds team of Vontobel, where he is responsible for managing the Vontobel Fund - Emerging Markets Local Currency Bond. Before joining the company in January 2018, he was a portfolio manager at Degroof Petercam Asset Management for seven years. Prior to that, he was the founder and CEO of Inbelflu Participações e Investimentos Ltda, a Rio de Janeiro-based boutique specialized in financial advisory and seed-capital raising. He began his career in 1990 as an interest rate derivatives trader at Crédit Commercial de France in Brussels, before joining HSBC Bank's Global Banking and Markets division in London in 2004.